I got a new macro lens for my lovely little SonyA7 a couple of weeks and I can definitely say that it’s money well spent! It’s a Sony 90mm F2.8 and the results are beautifully clear and sharp and it has wonderful bokeh. I’m looking forward to having more time to play with it. In the meantime, since flowers are in short supply here with it being winter, I’ve been taking macros of anything that catches my eye, kitchen tools, fences, things from the workshop and feathers! This was processed quickly using just one texture and a new Nik Preset. Renaissance Brush is from the Distressed Painterly Pack and the Nik preset is from the new Fly 5 Preset pack. This entry was posted on Thursday, July 30th, 2015 at 2:34 am. 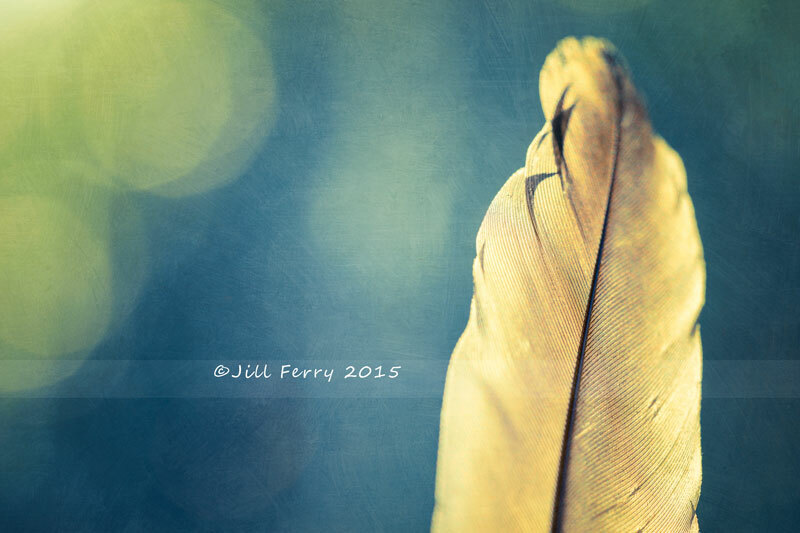 It is filed under Blog and tagged with Distressed Painterly Pack, feather, feather macro, Jill Ferry, macro, Nik Presets 5. You can follow any responses to this entry through the RSS 2.0 feed.